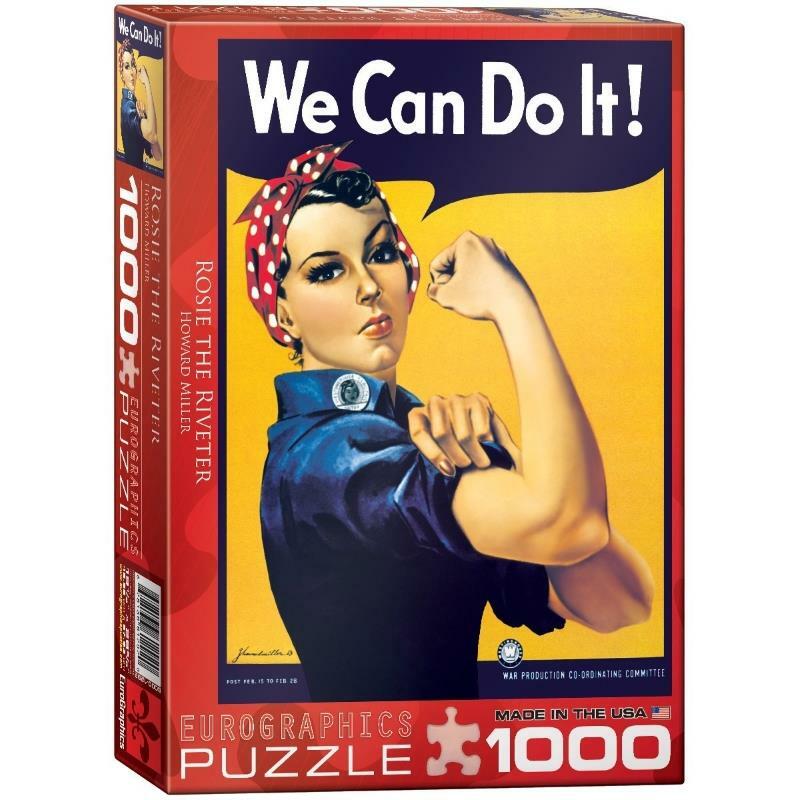 Puzzles 16841 https://www.warplane.com/images/Products/16841.jpg Rosie the Riveter - We Can Do It! 1000 piece jigsaw puzzle by Miller.High quality, full colour puzzle. Printed in Canada, made in the USA. 100% recyclable, environmentally friendly and safe, printed using vegetable-based inks. Description: Rosie the Riveter - We Can Do It! 1000 piece jigsaw puzzle by Miller.High quality, full colour puzzle. Printed in Canada, made in the USA. 100% recyclable, environmentally friendly and safe, printed using vegetable-based inks.